Mike Boynton suffered the worst home loss of his short tenure. 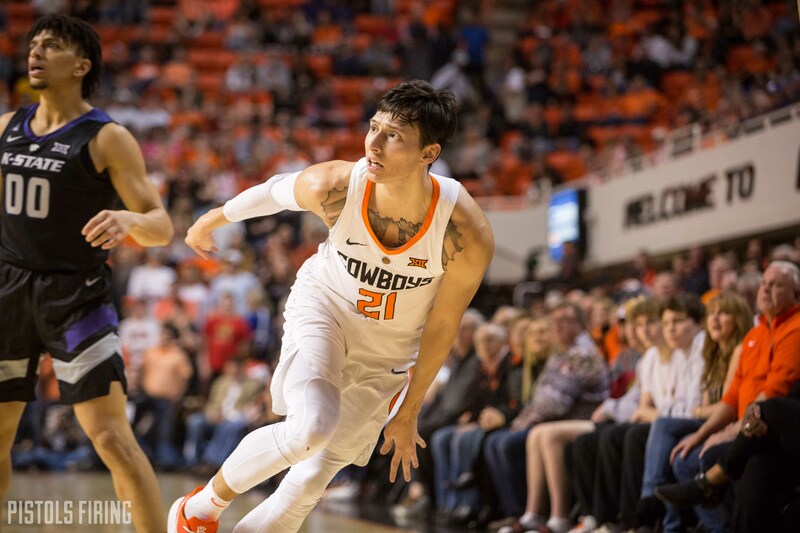 Thanks to some stifling defense and a dominant performance by Dean Wade, Kansas State mopped that gorgeous white maple floor of Eddie Sutton court with the short-handed Cowboys on Saturday night. The rare week off in the middle of the season didn’t do much for the Cowboys who followed up their 74-70 win over South Carolina by being blown out at home by the Big 12’s best team. The 75-57 loss was the worst by Oklahoma State during Mike Boynton’s going on two-year tenure. It was obvious from the tip that Bruce Weber was trying to lock down Lindy Waters. Waters went 15 minutes before he scored a point, missing three-straight contested jumpers before he hit his first 3. Waters finished with 12 points on 5-of-10 shooting. The Cowboys looked inept on the offensive side of the court for most of the game and once they finally shook off a mid-game shooting slump, it was far too late. OSU suffered through a scoring drought that lasted from the 3:17 mark of the first half over nine minutes until 13:59 left in the game with Yor Anei’s putback dunk. During that period, the Wildcats built a 22-point lead and effectively put the Pokes away. By the halfway point of the final frame, the visitors’ lead had ballooned to 31 and the game was on cruise control from then on. Anei continues to impress. The freshman big man finished with 9 points on 4-of-8 shooting and grabbed a team-leading five rebounds and a block. Defense is his calling card but his offensive game continues to improve, as does his ability to stay out of foul trouble over the last few games. His lone foul was questionable at best upon video review and he was the Cowboys’ only offense early. Curtis Jones led the Cowboys with 14 points on 5-of-9 shooting, but the majority of his damage was done when the game was no longer in question. The Wildcats reached a season high in 3-point percentage at 55 percent. The team at the bottom of the Big 12 in 3-point percentage coming in (30.7 percent) nailed 16 of 29, setting a school record for made 3s. Next up: The Cowboys head to Ft. Worth to take on TCU at 8 p.m. on Wednesday.